Thursday, June 8, 6:30 p.m.—RUTLAND—Phoenix Books Rutland will welcome Philip Baruth for a talk on “Senator Leahy: A Life in Scenes” Thursday, June 8 at 6:30 p.m. This book tells the story of the blockbuster life of America’s most senior senator. Having vaulted to a position in the United States Senate at the tender age of 34, Patrick Leahy now claims the longest tenure of any member of that institution still serving — and he was third in line for the presidency when the Democrats held control. Few recent American lawmakers have watched history unfold at such close range; fewer still have influenced it so powerfully. Philip Baruth brings a thriller-like intensity to the most spectacular of those scenes: the 9/11 attack on the U.S. capital, the contentious drafting of the Patriot Act, the ensuing anthrax attacks, and the dramatic 2014 opening of diplomatic ties with Cuba. 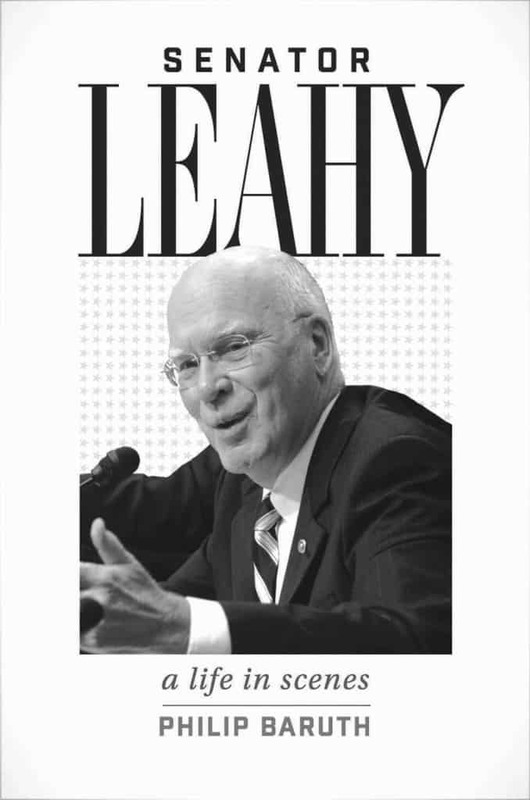 Throughout, the biography focuses in on Leahy’s meticulous image-making, and his cultivation of a “Top Cop” persona both in the media and at the ballot box. It is an approach that culminates in simultaneous roles for the lawmaker as chair of the Senate Judiciary Committee and as the tough-talking “distinguished gentleman” in Christopher Nolan’s acclaimed “Dark Knight” trilogy of Batman films. Leahy’s improbable success, Philip Baruth argues, in the end lies in his ability both to be and to play the top cop not only in post-Watergate Vermont, but in a post-9/11 America viciously divided between the red states and the blue. Philip Baruth is a professor of English at the University of Vermont and served as the majority leader of the Vermont Senate from 2012–2016. This event is free and open to all. Phoenix Books Rutland is located at 2 Center St. in Rutland. Copies of the book will be available to purchase and have signed. For more info, visit phoenixbooks.biz. Author Philip Baruth will discuss his recent book, “Senator Leahy: A Life in Scenes” at Phoenix Books Rutland.